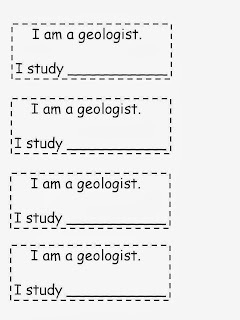 First Grade geologists... just a little something for their interactive science notebook. Here is the sheet I started with to use as an assessment. Sorting rocks is fun. We sorted them by shape, size, color, and texture. 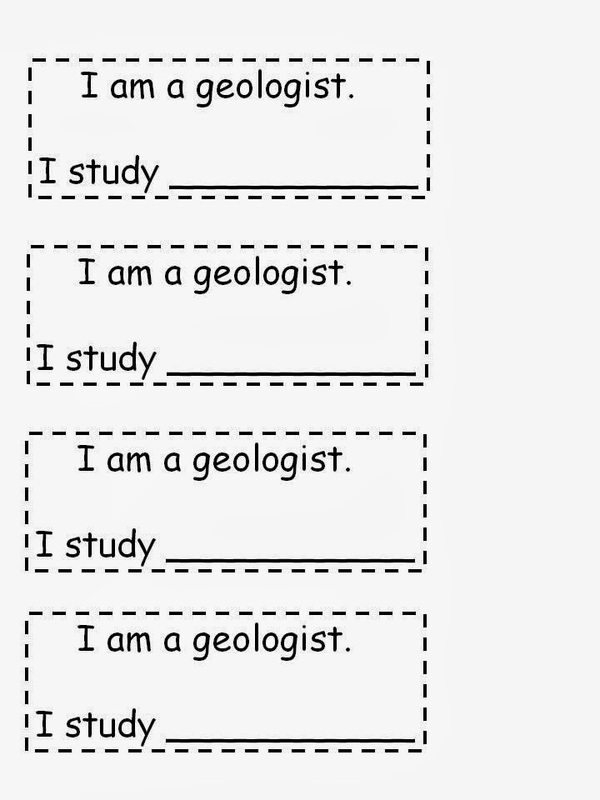 This is our writing part of our science activity. We predicted where our rock came from. Look what happens to our rocks when they get wet...they change. The firsties were amazed at the colors they could see! We started our water unit. I love this activity. Came up with it on the fly. I read the book Simply Science Water. The students took 6 pieces of paper in different water shades. I read the story and they listened and took notes. They glued the pieces on the paper and Viola, a great visual for them outside the Science room! Our 5th graders, finished their Variable Unit. They were able to finish with a fun day, Engineering Style. Each group was given 10 tongue depressors, and 4 rubber bands. They each build a marshmallow catapult using what they knew from the lessons. They had so much fun! You should see how good some of them are at catching marshmallows in their mouths! These boys had some great techniques to catching marshmallows. We finished off the hour building a control designed airplane. Then, we changed one thing to see if it made our planes fly better. We then went outside. See that bloggers...snow. It was hard to see some of the planes. It was like they got sucked into the Bermuda Triangle. The winner got airplane designs and a pack of paper to build some new models. So, there was a peek at my week. I started the lessons on Thursday and will finish the other classes by the time we get back from break. My kinders, 2nds, and 4ths are learning new lessons, too. I will include some pictures as we go. This was just a little peek of my week.